Photos always take lots of space on iPhone or iPad. When you desire to delete some of them to make room for other new files, it is an annoying thing that you can’t delete photos from iPhone or iPad. The undeletable pictures will cause trouble for you and you may want to fix can’t delete photos on iPad or iPhone with quick solutions. Part 2: How to Fix "Can’t Delete Photos from iPad/iPhone"
If you fail to delete photos from iPhone or iPad, there may be some reasons for you to get to know in the following paragraphs. Hope these reasons can assist you to get rid of this issue successfully. It is convenient for you to create one album in iOS by clicking on the “+” icon and naming it. Thus, you can add pictures to the new album. 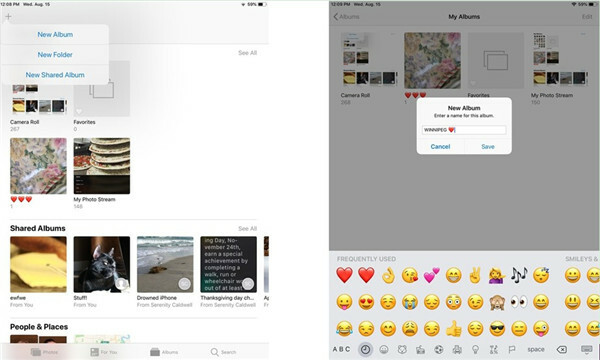 Although it will be easy for you to edit and delete the entire album at any time you prefer, the photos will not disappear from iPhone or iPad thoroughly, which will remain in collections, other albums, and in Photo Stream. This is one of the reasons for that you can’t delete photos from iPad or iPhone. 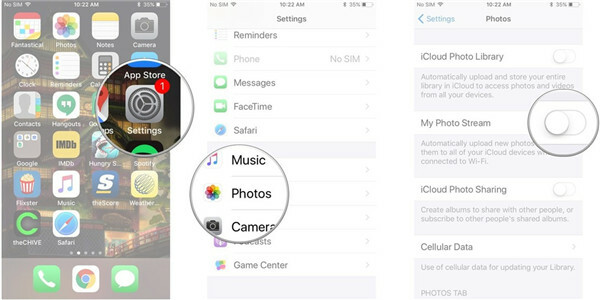 If you cannot delete photo album from iPhone or iPad, maybe the pictures are generated by the newer versions of iOS automatically, such as the slo-mo videos, panorama shots, regular videos and etc. Currently, these photos can not be deleted by users. If you have inserted your iPhone or iPad into your computer for the aim of transferring existing pictures via iTunes, these photo albums will be undeletable. If you would like to fix cannot delete photos from iPhone 6 or iPad, you need to make use of iTunes once again on computer to get this work done. If the photo albums that you want to delete are created by third-party apps, it will be troublesome for you to manage them properly. If you desire to get rid of the photos and videos themselves, it will be hard for you to realize this goal. However, you can make use of the Photos app on iPhone or iPad to remove the whole album to finish this task. After you know the reasons that you cannot delete photo album from iPhone or iPad, you may wonder if there are some solutions to fix this issue properly. You are just in the right place, for this part will show you three gorgeous tools for you to take advantage of to achieve this aim. In order to figure out the issue that iPad/iPhone 6 cannot delete photos, you can make use of Leawo iTransfer for Mac to provide assistance. This tool is one perfect manager of iOS devices’ files, which can also facilitate the transfer processes among iTunes, iDevices, and computers easily. The files that it can manage include photos, songs, contacts and so on. Now let’s begin to see how to apply this program to fix can’t delete photos on iPad/iPhone. 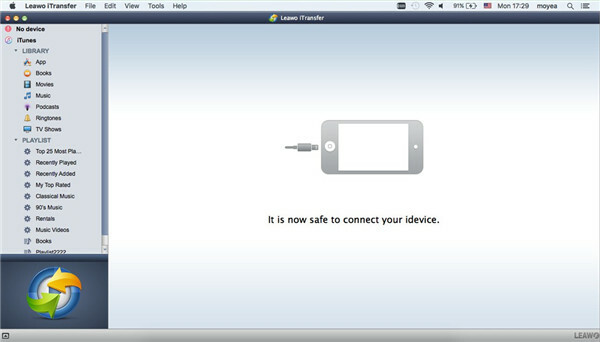 Launch Leawo iTransfer on your computer and then plug iPad/iPhone into computer with proper USB cord. Your device info will display in the right part of the screen. Hit the icon of iPhone/iPad and then click on the panel of “Photos” under the menu of “LIBRARY” on the left sidebar. All iPhone/iPad pictures will show in the right part of the window for you to check clearly. Choose the photos that you would like to remove and then click on the “Delete” button. In the pop-up panel, you need to hit the option of “Yes”. Leawo iTransfer will start clearing the selected pictures from iPad/iPhone right away. With this amazing tool, the issue that iPad/iPhone 6 cannot delete photos can be settled perfectly. When you encounter transfer problems, you can also resort to this software for help as well. This software is quite strong in features and you will fall in love with this great tool after you use it for a time. iDevice users may all know that the syncing function of iTunes is quite useful for file transferring. In fact, iTunes can also be used to cope with the issue “cannot delete photo album from iPhone/iPad” successfully. You can check the following steps to know how to make it. 1. On your computer, you need to create a new folder that does not contain any of the photos that you do not want. 2. Go to “Preferences > Devices” and then choose “Prevent iPods, iPhones, and iPads from syncing automatically” to check. You also need to make sure your iTunes is the latest version. 3. Connect iPad/iPhone with computer with USB cable and then hit the iDevice icon at the upper right corner of the screen. 4. You need to hit on “Settings> Summary> Photos” tab. In the right part of the interface, you need to click on “Choose Folder…” to select the folder that you have just created on computer that does not contain the ones you desire to delete. 5. After that, hit the “Apply” button at the bottom right of the window. iTunes will begin to sync your iPad/iPhone with the folder you created. When the sync is over, you will see the pictures get removed from your iPad/iPhone. With iTunes, users can manage files on iDevices with no efforts. However, you need to know that the sync process of iTunes will erase the previous items on iDevices. If you are not pleased with this shortcoming, you can choose other solutions to help you to delete photos on iPad/iPhone. Image Capture is also a good choice to fix “cannot delete photo album from iPhone/iPad”. You can check out the step-by-step instruction shown below to have a try. 1. On your iPad/iPhone, you need to run Settings app from home screen and then click on “Photos” tab. Afterwards, click on “My Photo Stream” to turn on this option. 2. 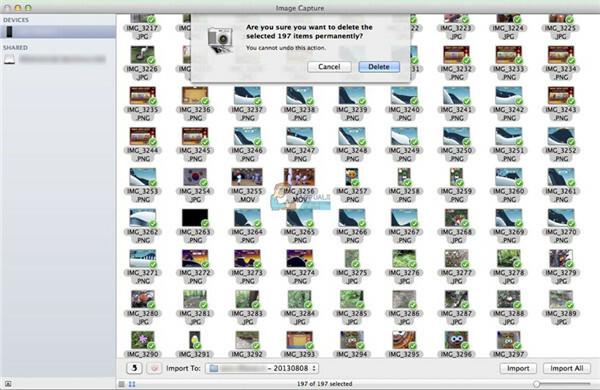 Insert iPad/iPhone into computer and then run the software of Image Capture on Mac. 3. Click on your device icon and you will see your photos in the right part of the interface. 4. Choose the photos you want to delete and then hit the delete button at the bottom of the window, which is a red circle with a slash through it. This method can assist you to delete iPad/iPhone photos easily. Hope it can make more room for your new documents. Although it is not hard for you to fix “can’t delete photos on iPad/iPhone”, do you know how to recover the pictures that you have removed by mistake? 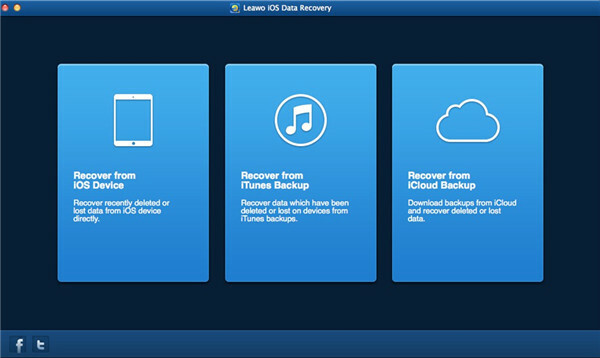 If this is just what you desire to learn, you can resort to Leawo iOS Data Recovery for Mac for assistance. 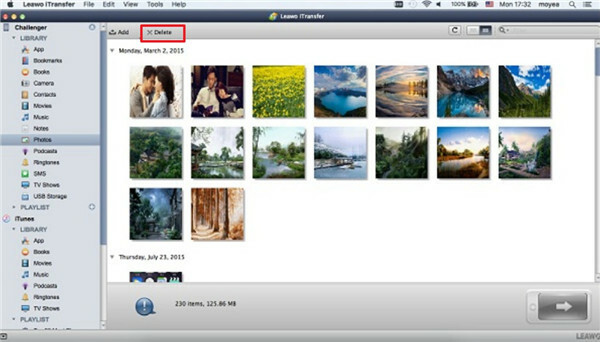 It can help you to find the deleted files back easily, such as contacts, calendar, reminders, photos and etc. 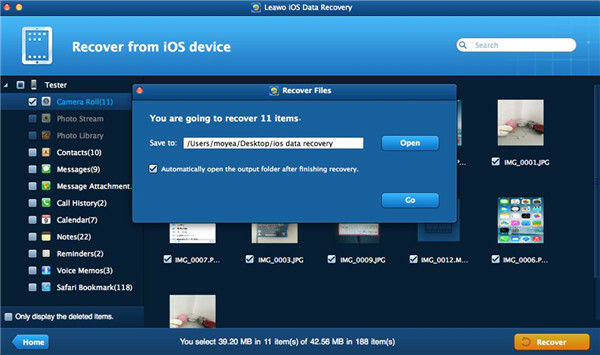 The detailed steps on how to use this professional program to recover deleted photos from iPhone/iPad are shown below for your reference. 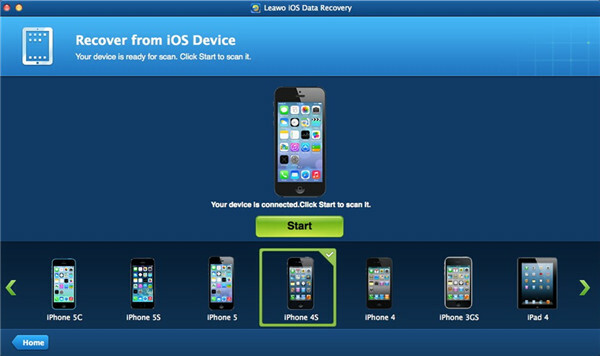 Run iOS Data Recovery on computer and then plug iPhone/iPad into computer. Click on “Recover from iOS Device” on this program. The software will start scanning your iDevice immediately when you click on the button of “Start”. When the scanning procedure terminates, you will see some categories on the left sidebar. 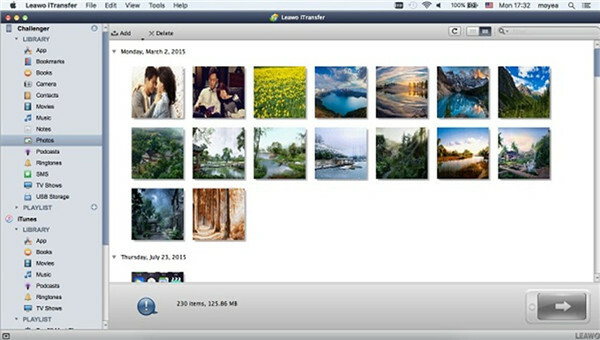 Hit on “Camera Roll”, “Photo Stream” and “Photo Library” to preview and choose the pictures that you want to recover. Click on the “Recover” button and then set the “Save to” directory to find a proper location on computer to store the restored photos. Afterwards, you need to hit the button of “Go”. When this procedure comes to an end, your iDevice photos will be available on computer folder. 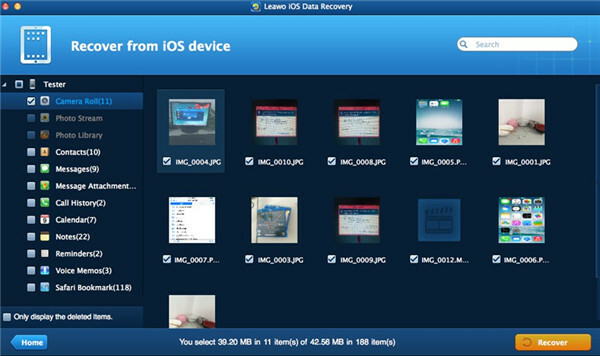 Leawo iOS Data Recovery is quite useful for finding back lost files on iDevices. When you have it a try for once, you will know how powerful it is. After reading through this guidance, you will obtain several solutions to fix the issue that you can not delete photos from iPad/iPhone and know the way to recover deleted files from iDevice with no efforts. If your friend is also in need of these means, you can share this tutorial with him/her for suggestion.